UMB's FôrTek, Centre for Feed Technology, has qualified for ISO-9001 certification. This shows that the systematic work being performed at FôrTek has paid off. For the researchers at UMB, FôrTek will also in the future be the same innovative partner. For FôrTek’s industrial partners, this certification is important. When these partners are promoting results, obtained at a certified feed it gives them extra credibility. 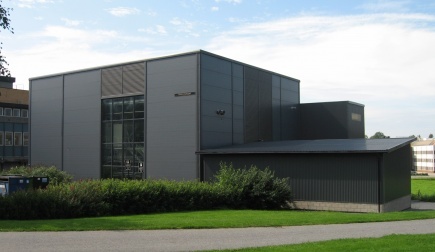 FôrTek is the first public available Feed Technology Centre in Norway achieving this certification. One practicality with this certification is that some EU-companies are demanding “ISO-9001-feed» for their animals to be sold as meat, now can use feed from FôrTek. As mentioned above, ISO-9001 certification is widely used in the industry. However, regarding allowance to produce feed in Norway, it is the Norwegian Food Safety Authority dealing with such. The Centre for Feed Technology has all the necessary allowances, including the TSE- allowance and the antibiotic- and coccidiostatic-allowance. The Centre for Feed Technology is delivering the basis for quality research in feed & nutrition, both for agri- and aquacultural purpose. Principals are researcher at the University, and both domestic and foreign feed producers, including additive suppliers.